The team behind Raspberry Pi has released the latest Raspberry Pi 3. With a better quad-core processor and newly added WiFi and Bluetooth 4.1, the credit card-sized mini computer has the ability to deal with more tasks. It has been over a year since the release of Raspberry Pi 2, and the new Raspberry Pi does brings us many nice and practical features. Compared with its predecessor, the new mini computer has a same size. The credit card-sized circuit board allows you to take the computing platform anywhere you want to go. 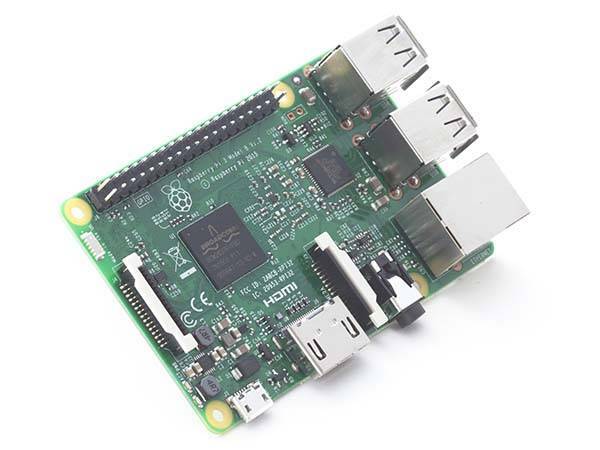 Raspberry Pi 3 is powered by an ARM Cortex-A53 1.2GHz 64-bit quad-core processor that is approx 10 times more powerful than Raspberry Pi 1 plus 1GB RAM and VideoCore IV GPU in order to handle more complex tasks or run more video games. Furthermore, the mini computer also features integrated WiFi and Bluetooth 4.1 that allow it to more easily connect into the Internet or work with Bluetooth-enabled devices. Raspberry Pi 3 Model B has been available for $35 USD. If you’re interested, jump to the product page for its more details.